Jim Carrey, star of comedy hits like "Ace Ventura: Pet Detective" and "Dumb and Dumber", as well as dramas such as "The Truman Show" and "Eternal Sunshine Of The Spotless Mind", idonned his Alice Cooper makeup to jam with the legendary shock rocker at Shep Gordon's eighth annual Maui Food Bank and the Maui Arts & Cultural Center benefit on December 31, 2016. They performed "No More Mr. Nice Guy" and "School's Out". Alice's backing band for the performance consisted on Nita Strauss on guitar, Damon Johnson on guitar, Chuck Garric on bass and Glen Sobel on drums. 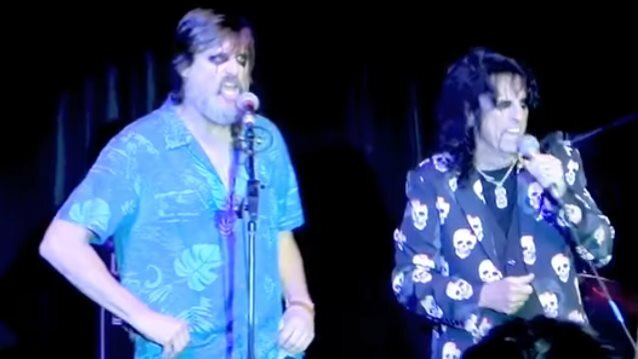 Also joining Cooper and his manager at the New Year's Eve fundraiser were AEROSMITH's Steven Tyler, the DOOBIE BROTHERS, "Weird Al" Yankovic and Bob Seger. Cooper and his manager have been staging fundraisers in Hawaii on New Year's Eve since 2008. 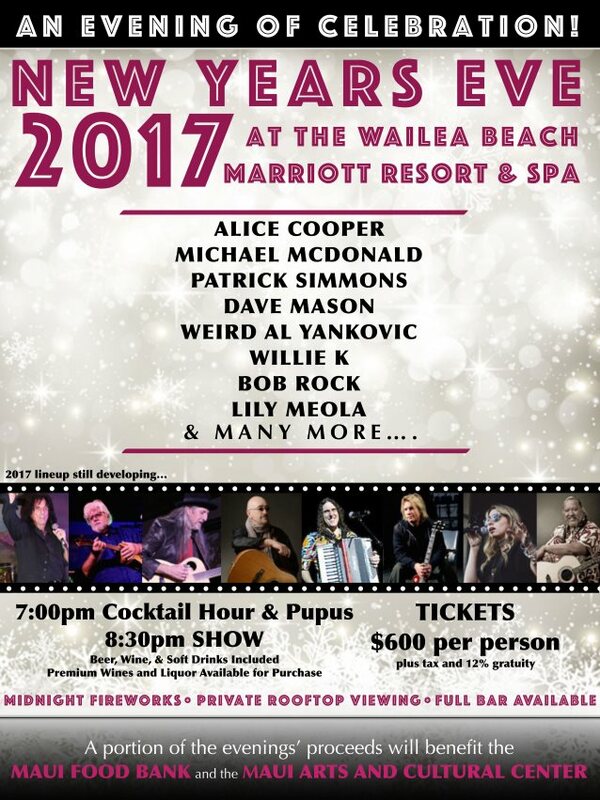 Event organizers said that through the generosity of those attending this special night, the New Year's benefit helped provide the one millionth meal to the Maui Food Bank and a portion of the proceeds will also assist the Maui Arts & Cultural Center in creating millions of memories in the new year. Tickets for the event were $600 per person, plus tax and 12% gratuity.